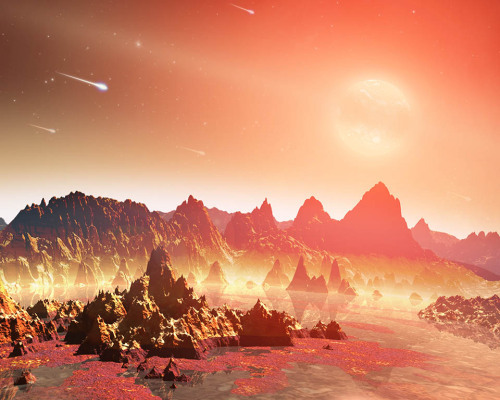 This artist’s conception shows a young, hypothetical planet around a cool star. A soupy mix of potentially life-forming chemicals can be seen pooling around the base of the jagged rocks. diggin the idea of the site, as well as the above pic. keep it up!